As we turn the calendar year and make our resolutions for 2019, many businesses are looking to have a positive impact on our community. 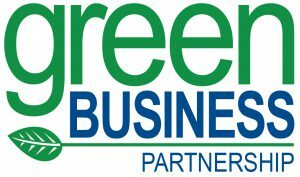 The Sarasota Dog Salon, Sol Growers, and Total Martial Arts and Fitness have made the commitment to make their businesses greener, joining the Sarasota County Green Business Partnership. Located on Palmer Avenue in Sarasota, the Sarasota Dog Salon is our first pet grooming green business partner. The company believes in grooming based on your pet’s well being: Unique style at a one-of-a-kind salon. As a green business partner, The Sarasota Dog Salon is going above and beyond to create a healthy environmental for their employees and furry clients. Employees are fully engaged in waste reduction efforts and are encouraged to suggest new conservation ideas for the salon. The salon is focused on reducing their impact through recycling and smart purchasing policies, and on cutting energy by switching to LED lighting and utilizing natural light. Sol Botanicals is a community created to reach our goal of sustainable agriculture while being mindful of our health. Located in Siesta Key, Sol Botanicals transforms underutilized lawns into micro-farms and fruit forests. Every house deserves to have healthy produce. Join us as we shift local food systems into sustainability. As a green business partner, Sol Growers is working toward being the most sustainable business that it can be. The business focuses on energy conservation and reducing the overall impact on the environment. Total Martial Arts & Fitness (TMAF) strives every day to be the best so that you can see your best results. It offers the opportunity to learn from the only licensed international instructor in south Sarasota County, and receive specialized personal training from an ISSA-certified personal trainer. As the first martial arts green business partner in the program, TMAF is a leader implementing a healthy environment for its students and families. Its studio has a small environmental footprint made possible by the initiatives put into action. TMAF encourages all students to bring their own water bottle, while the company uses natural products and reusable materials, and even makes its own green-cleaning supplies.